Theory of Heat Transfer and Physical Hydro-Gas-Dynamics. Thermophysical Fundamentals for Creation of Power and Power-Saving Technologies and Apparatuses of New Generation. Thermophysical Fundamentals of Hydrogen Energy Production. 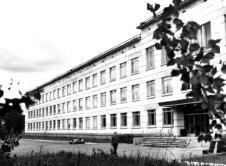 The Institute of Thermophysics of the Siberian Branch of the Russian Academy of Sciences was founded in 1957 among the other first research institutions of the Novosibirsk Scientific Center known as Akademgorodok. Academician I.I. Novikov was the organizer of the Institute and its first Director. The major scientific trends of the Institute have been formulated and developed by academician S.S. Kutateladze who has been at the head of the Institute from 1964 to 1986. From 1986 to 1997 the Director of the Institute of Thermophysics was academician V.E. Nakoryakov, a famous scientist in the field of thermophysics, mechanics and power engineering. From 1997 the Director of the Institute is Corresponding Member of RAS S.V. Alekseenko. About 450 employees work at the Institute. Among them three Full Members and three Corresponding Members of the Russian Academy of Sciences, 54 Doctors of Sciences and 92 Ph.D. More then 200 scientific papers are annually published by the Institute in leading international and home journals. The Institute of Thermophysics constantly exchanges scientists and information with many research centers of the USA, Great Britain, France, Japan, Italy, Germany, China, the Netherlands. International Conferences and Seminars are regularly held by the Institute. The Institute closely collaborates with large foreign firms.